Canadian merchants pay among the highest costs in the world for processing credit card payments. Why Are Payment Costs Increasing? High cost premium cards. 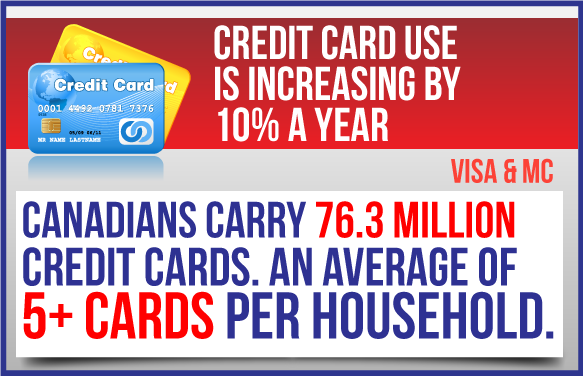 According to latest public information these cards account for 10% of all cards issued but represent 30% of value. Canadians are increasingly using their credit cards for smaller purchases, particular when it comes to NFC (“tap and pay”). Credit card acceptance fees now cost merchants $5 billion annually, of which interchange accounts for $4 billion. The effect of these fee increases is higher prices paid by Canadian consumers, as noted in the report of the Competition Tribunal and in the Government of Canada’s 2014 Budget. Interchange rates for Canadian merchants range from 1.21% to 2.65% per purchase. By comparison, France limits interchange to 0.28%. The EU is moving to a 0.30% cap across the board. Australia limits interchange to an average of 0.50%. Worldwide, 37 countries have recognized the uncompetitive level of interchange fees and have moved to address them. 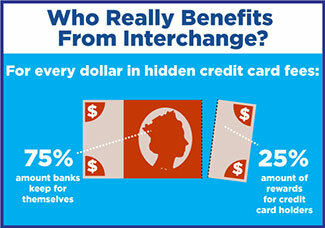 Would Consumers Benefit from a Reduction in Interchange? A U.S. study (Shapiro) showed that 69% of the savings from interchange fee reductions were passed through to customers in the first year alone. The highly competitive nature of the retail industry ensures that cost savings to merchants will benefit consumers in the form of lower prices. What is RCC Doing to Help Reduce the Cost of Payments? Consumer set default payment options on their phones. 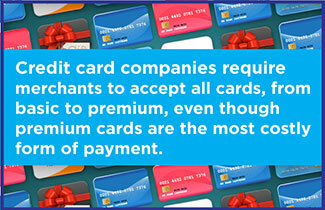 Transactions are treated as a “card present” not higher cost “card not present option” which adds cost to merchant. Merchants must be given the choice to accept mobile payments.